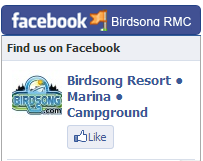 Birdsong Resort, Marina and Campground offers annual lease lots for second-home manufactured home location. The 58-acre resort complex is open year around and offers the conveniences of a 140-covered slip marina, ship’s store, swimming pool, community center, boat launching ramp, fishing pier and more. Scheduled events throughout the year for tenants and resort guests. Walk along the quiet water’s edge of the scenic Tennessee River’s beautiful Kentucky Lake minutes from your front door. For more information call (731)584-7880. Spend time on beautiful Kentucky Lake whether fishing or just cruising on a pontoon boat all just minutes from your front door. Birdsong Resort, Marina and Campground offers annual lease lots for a second-home location. The 58-acre resort complex is open year around and offers the conveniences of a 140-covered slip marina, ship’s store, swimming pool, 200-seat pavilion, boat launching ramp, fishing pier and more. Scheduled events throughout the year for tenants and resort guests. 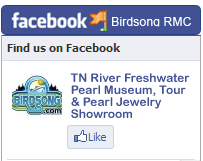 Call Bob today at (731)584-7880 to find out more about becoming Birdsong’s newest tenant.